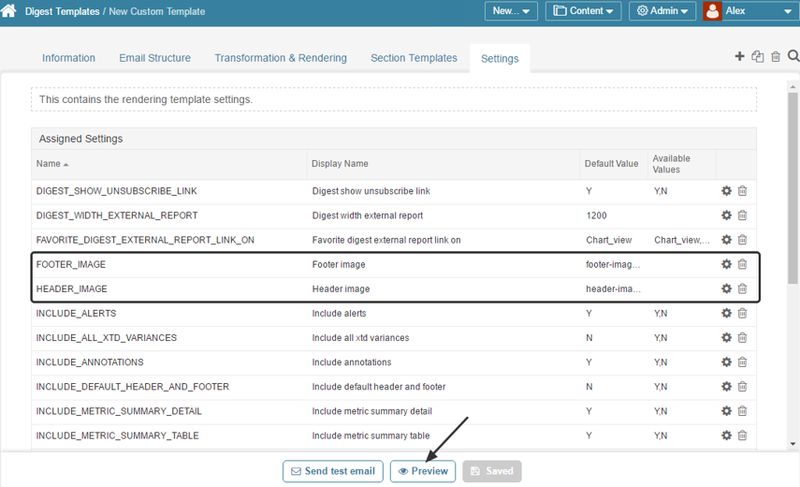 Metric Insights provides an ability to add various custom headers and footers to email templates. 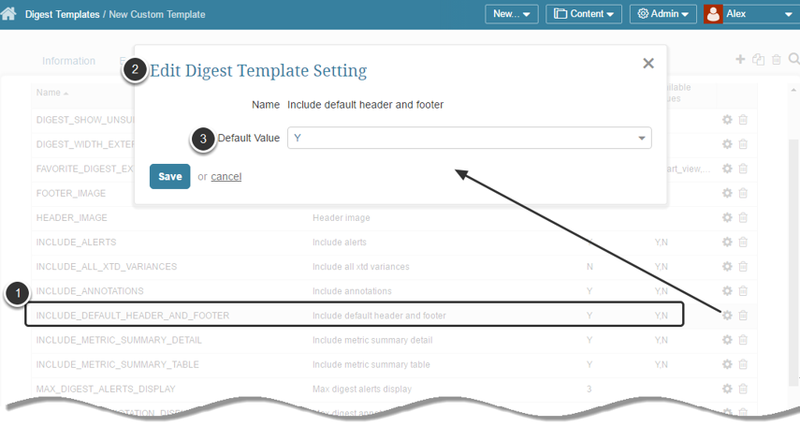 This article provides step-by- step instructions on the procedure of applying images for custom headers and footers to the email digest templates. NOTE: Images for custom headers and footers can be uploaded only at the Branding page. Every kind of notification has its own default template, which is marked as locked. You are free to create your own templates and apply them to different type of email notifications. NOTE: Click Preview to make sure your email is going to look the way you expect it to. You can specify custom header and footer for any template. NOTE: Images for custom headers and footers van be uploaded only vie the Branding page at Admin > Utilities > Branding. Click Save to apply the image file. NOTE: If you manually type in the name of a picture, double-check whether it is spelled correctly to avoid typos/mistakes, otherwise default email header and footer are going to be applied. 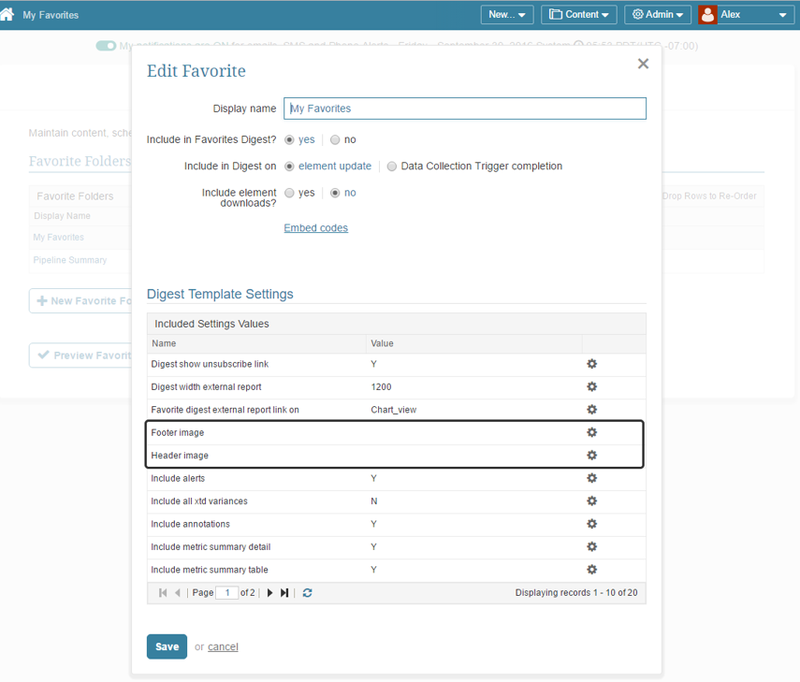 NOTE: Make sure that the names of images for header and footer are displayed in the Default Values column and click Preview to find out how the email is going to look. 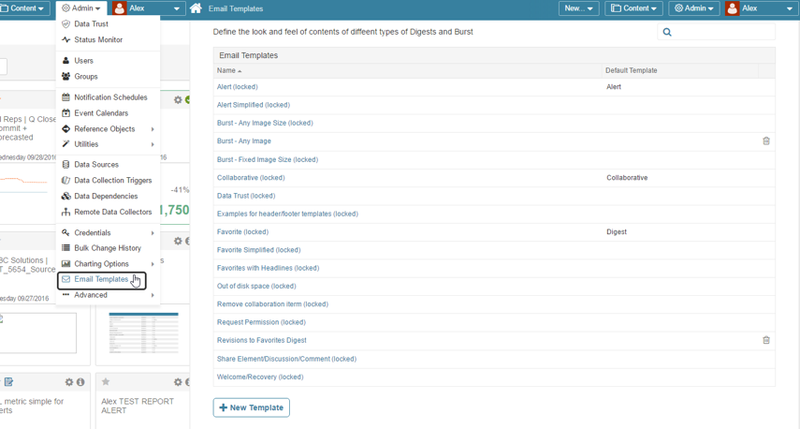 To choose the pictures that should serve as a footer and header, click the Gear icon in the respective row and select the required file from the drop-down list.